Substantial heat over at Peckham’s Alpha Shadows as the late season drops keep coming. 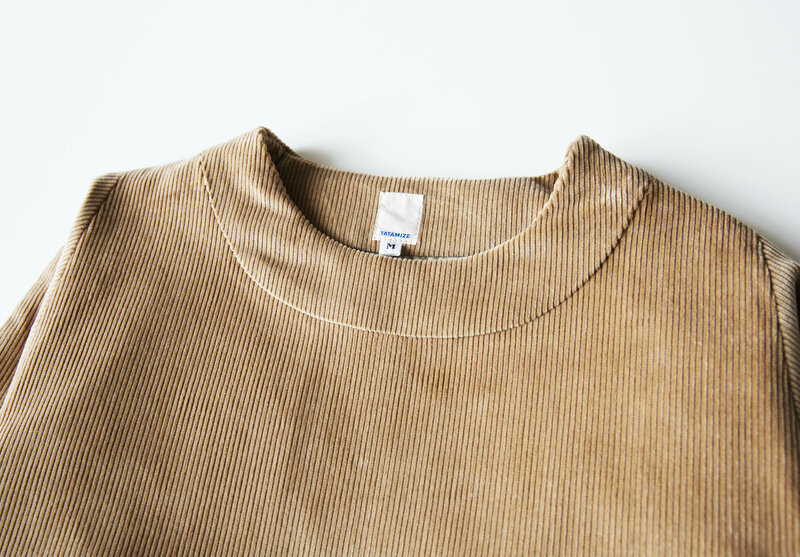 And yes, it’s more corduroy. 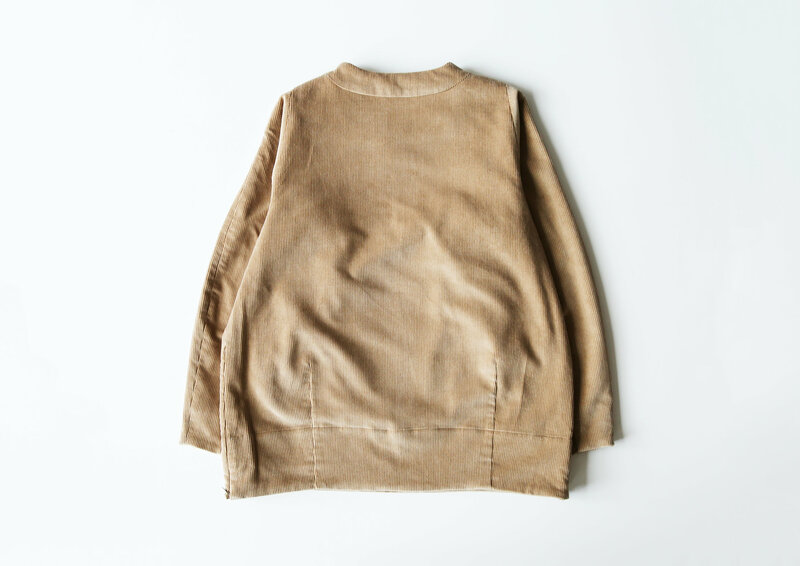 But check the neckline on this Tatamize smock thing – it’s tight, it’s high, it’s utterly brilliant. The main thing I find challenging about a smock isn’t the capacious body, but the prevailing neck shape; they’re frequently yawning; giant voids that without an underlying tee expose far too much neck and shoulder. A bro can end up looking like the belle of the ball. By modernising the collar, Tatamize have created a smock must-have, one that finally banishes that troublesome evening gown neckline. 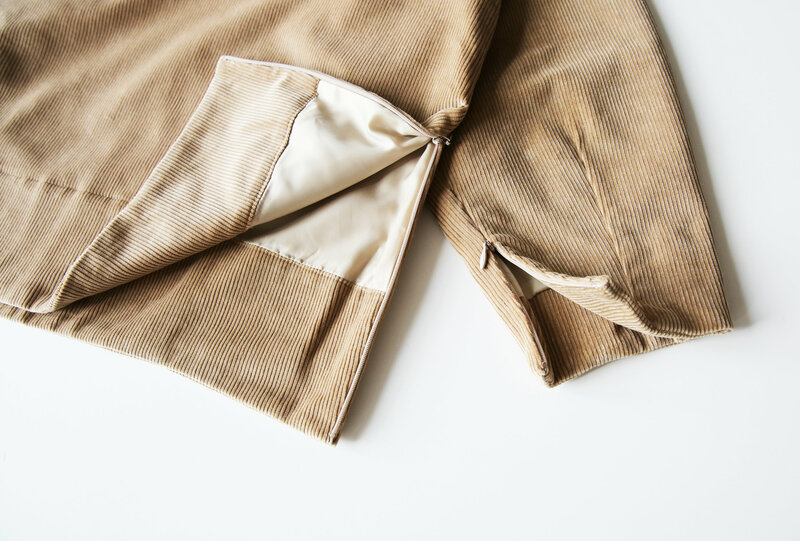 For those unfamiliar with smock-life, it should be noted that lesser garments can sometimes be a little stingy with the fastenings necessary to allow easy access to the garment. Too few on a smock, with little give in the fabric, means clambering into the thing results in a red-faced squeeze, as man and cloth do battle, perspiration is spent, elbows are twisted and dignity is shat upon. James Bond it is not. 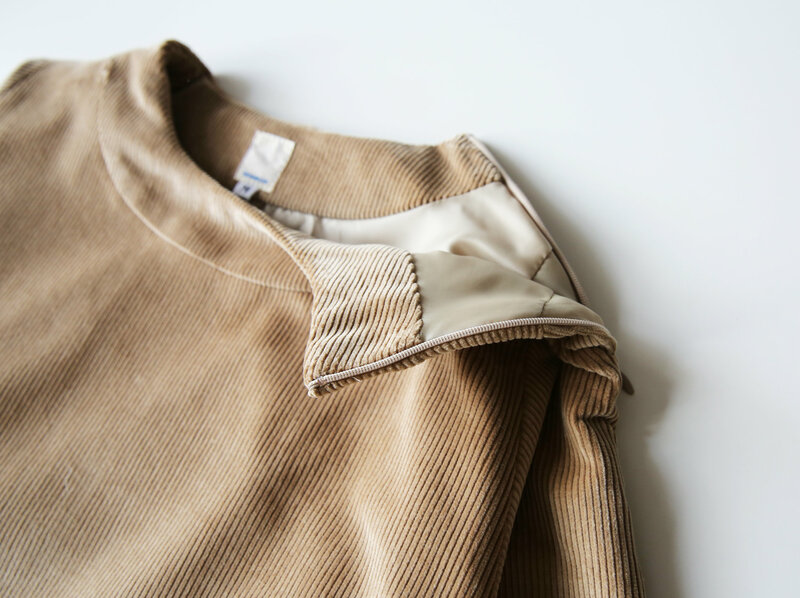 Here though Tatamize have added concealed zips at the collar, hem and cuffs, meaning application of your corduroy armour should be painless. Dart details at the front and back add interest, while the whole piece is fully lined, meaning once you’re in, you’ll be double-warm. Understand, you’ll look like you should be wearing a quiver and swinging a dead hare, but since when has that been a bad look?